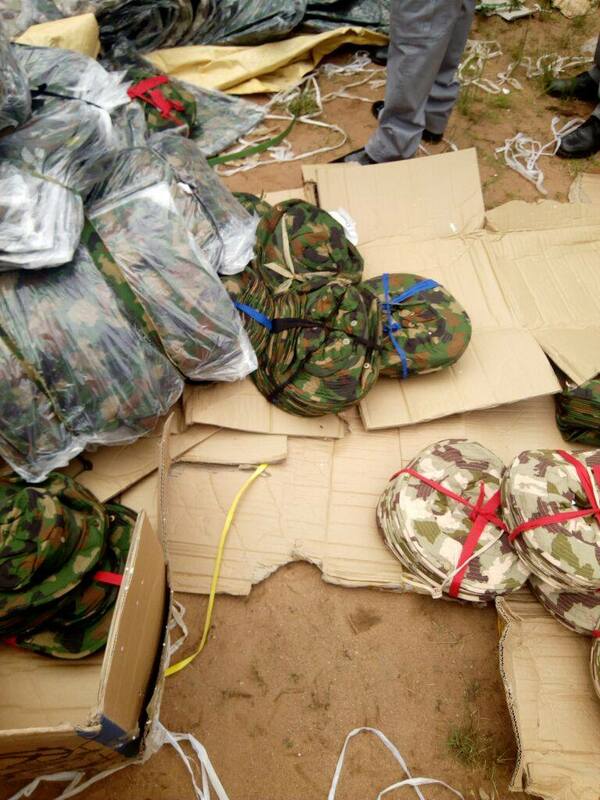 The agent of the importer of military uniforms into Nigeria has been detained. 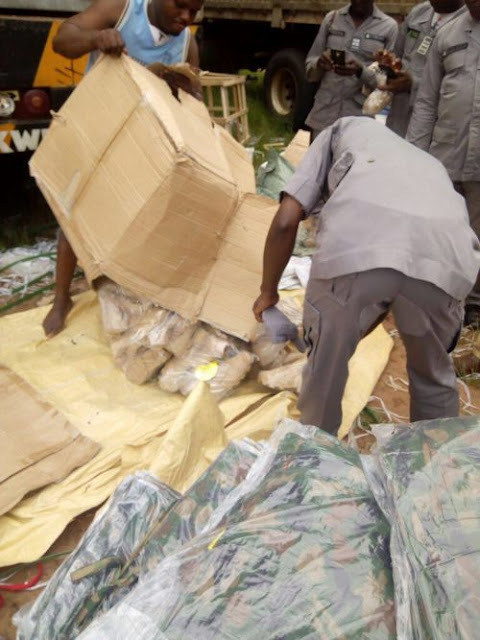 The unidentified agent was arrested by officials of the Federal Operations Unit of the Nigerian Customs Service Zone C, according to its Comptroller, Ahmed Azarema. 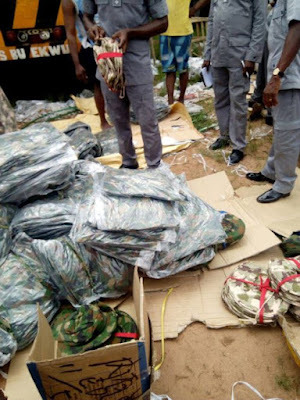 The Customs men intercepted the container load of military uniforms and other items on Friday on the Aba-Port Harcourt highway. “The roving team of the Federal Operations Unit (FOU) Zone C, have seized a container with registration number MRSU 3040288 found to carry military uniforms and other items along Aba- Port Harcourt Road.Mr Joseph Attah, the Public Relations Officer, Nigeria Customs Service (NCS), said a routine examination of the container in the presence of the owner’s agent yielded the banned items..
” The container was taken to Owerri where proper examination in the presence of the representative of the owner revealed the followings, 11 bales containing new sets of sewn military camouflage. ” Each bale contain 400 pairs of sown military camouflage, 15 cartons containing Altama combat boots, each carton contains 20 pairs and some sacks of made up garments. ” Seven Wooden kitchen cabinets, 337 packs of new foreign tiles made in China, 27 medical equipment made in China, 34 rolls of water hose made in China and some household items,” Attah said.